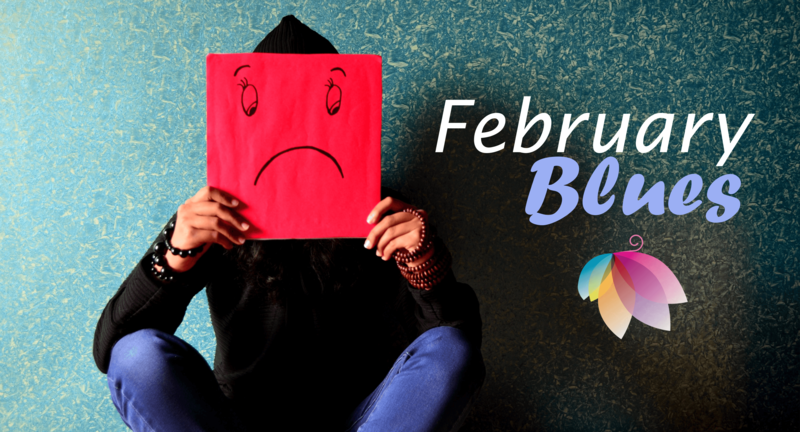 Are the February Blues a thing for you? Gah... Anyone else feeling sluggish and, well... pretty much depressed right about now? I have to admit that February is always brutal for me. The lack of daylight for for months, the cold weather and the fact that I have underlying grief associated with my dad's birthday (1927-1994) and the anniversary of my mom's death (1929-1980) all in the same month. Thank God that one of my children was born in February to add some life and celebration to this tough month. 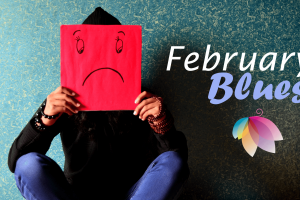 I always thought that I was the only one feeling like crap every year, but I learned, many years ago, that a quite a few people struggle with the February Blues. I really hope that this is not the case for you! But if it is let's talk about what needs to be done to shake off those blues and re-ignite some better feelings and more fun into your life. I have learned that I need to prepare to embrace this challenging month, many months in advance. As soon as darkness hits in November I begin to make a point of getting outside as often as possible, I use bright lights in the house to keep my energy up and I commit to activities that take me out of my urge to of potentially curl up in a ball and become a recluse. Many of my clients will attest to the fact that I often prescribe quiet, mindful time as an intense self-care protocol. In some cases that piece of advice is PERFECT and in other cases that advice could be the worst thing ever. I know, at this time of the year, at a low energy point cocooning would drag me down to the depths of depression. The cocoon would not be that safe place where you restore and create that energy required to regroup and come out a butterfly. The cocoon would be a place where the walls would become so restrictive that energy would drain and it would transport me to a place of lethargy, loneliness and depression. So when quieting down is not the right thing to I highly suggest that you do things that get you out of your comfort zone on purpose. Get outside when you really don't want to . Go to an exercise class when you really don't have the energy, try an exercise class that makes you dance and allow yourself to be goofy with it. Get out of your regular schedule and do something out of the ordinary. Basically, you need to shake up the status quo. Developing the ability to be self-aware and able to catch yourself before the grip of depression grabs on is certainly not a simple, straight forward process. Trial and error is often the way that things go. Self-care has many sides to it. Try as many styles and combinations of them. Remember that many people would be there for you in a heartbeat. Never hesitate to reach out for the support to help you shift and get the energy that you need. Quick, can you name 5 things that you like about yourself? Website Design by Ottawa Net Designs | Powered by WordPress.